Greetings fellow leaders. My name is Paul Kim. I recently began serving as the Director for Cyclical Cascadia, a new ministry of Northwest Coast Presbytery. I also have the wonderful privilege of serving as the lead pastor of the English Ministry for Community Church of Seattle called “New Life Fellowship.” I have been a member of Northwest Coast Presbytery since 2014 and served churches and new ministries in Toronto, Canada, Atlanta, Dallas/Fort Worth before being called here. This year I was privileged to serve as a commissioner to the 223rd General Assembly in St. Louis from Northwest Coast Presbytery. I look forward to connecting with you! We are preparing to launch our first discerners and starters gathering for October 29th 6:00pm at Beardslee Public House in Bothell, WA. This will be a gathering of leaders who sense God might be calling them to consider starting a church. If that’s you…you are invited. If that’s someone you know, please invite them! There will be good food, good drinks and other leaders to share and dream together. Just let me know you are coming so we can plan for you! 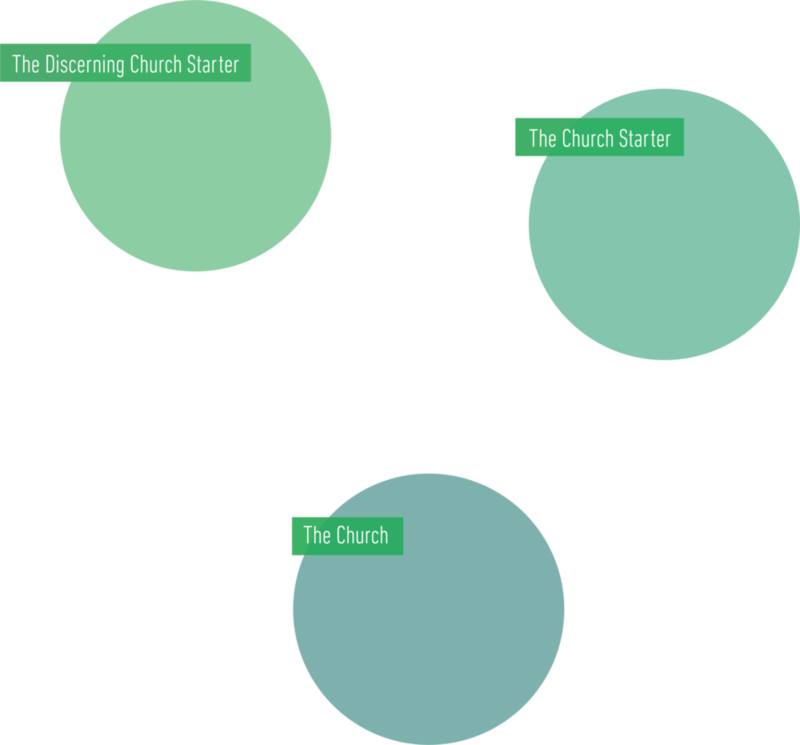 Cyclical Cascadia is a ministry to nurture the ongoing lifecycle of starting new churches or other ministries which has been happening since Pentecost. Cyclical wants to help and support those who sense the subtle nudge of God’s Holy Spirit to try something new. I would love to share more in-depth with you how Cyclical can serve to launch you in God’s vision. If you feel a tug in your heart as you read this email I would love to meet with you individually to walk you through it. Please take me up on this offer. I would love to grab a meal or even a nice cup of coffee. Please do not hesitate to email me at paul@northwestcoast.org or call me at 425-984-3697. Cyclical is a ministry of NWC Presbytery designed to fuel the God-designed life cycle of church and new church expressions. After seeing many new expressions start over the last 10 years NWC Presbytery discerned in 2016 that God was calling us to give more shape, focus, and form to this ministry. That’s when we connected with Cyclical Los Angeles and director Nick Warnes who have developed an approach to this ministry that we think can work well here in the northwest. So we are partnering with Cyclical and adapting the Cyclical model for our people and our context. Cyclical fuels this life cycle by providing resources, and a community to existing churches and ministries and individuals who sense the call of God to try something new…to step out to follow God’s nudge, God’s call to form a new expression of church to connect and build community around the flame of the Gospel for others. This impulse is embedded in our DNA. The origin of NWC Presbytery came from this God-breathed impulse. When St. Andrews Presbyterian Church in Victoria sent a “coloured minister” to San Juan Island to start our oldest living congregation…Friday Harbor PC…they were following this impulse. When Mountain View PC encouraged Brandon Bailey and a discernment team to follow God’s lead and start Tidelands in Stanwood, they were following this impulse. When Calvin PC did the crazy thing of welcoming an Egyptian evangelist…Rev. Milad Nhakla…to synchronize the churches desire to engage community college ministry (4 community colleges) …they were following this impulse. When Community Church of Seattle launched 2 new Korean speaking campuses and a new English speaking campus. They were following this impulse. When Bellingham First PC blessed Collide as something way bigger than FPC, they were following this impulse. In the 20th century, when First PC of Seattle launched 26 Sunday Schools in the 30s-40s 17 of which became congregations, 1 of which is University PC--they were following this impulse. It’s a way the Gospel of Jesus Christ works. Cyclical is here to fuel it. When you experience God’s tug to connect with people in your community and beyond. There are all kinds of ways to organize it. One is to build community among those people more than expecting those people to come to you. Cyclical is here to help you do that. Discerners and Starters Gatherings. The first is October 29 (see info below). People who are sensing God call to explore new a new church and existing church leaders who support this gather to eat, meet, encourage, and some great teaching on discerning and starting new church expressions! Assessing potential new church leaders for the gifts and skills to do this ministry. We partner with PC(USA)’s 1001 New Worshipping Communities ministry to provide a comprehensive opportunity for potential new church discerners and starters to learn what it takes and see whether you’ve got it! There are several of these held around the country. The next one in our neighborhood will be June 10-13, 2019 at Seattle New Life Fellowship in Bothell, WA. We held one last June where 8 people from around the country and 4 from NWC Presbytery participated. Education and Equipping for Existing Congregations. The best way new church expressions get started is from the support and encouragement they receive from existing congregations. If you have the nudge, we provide “Get in the Game” education, backgrounding, story sharing, and “here’s what it takes!” for teams, sessions or whole congregations. Curate and Share the Best resources, stories, and experiences of this ministry! Prayer, people and financial resources to give it a go! When you discern God wants you to give it a try we can connect you to prayer, people and financial resources to follow God’s call.